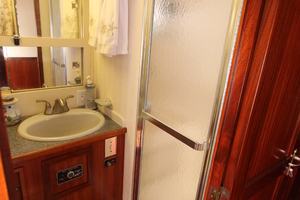 private head w/separate stall shower. 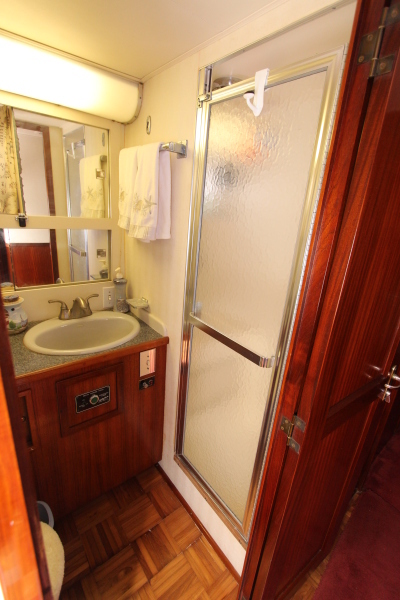 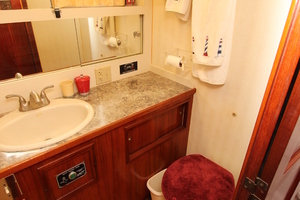 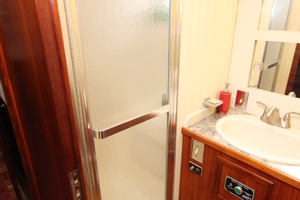 Storage space is plentiful throughout the yacht especially the Master Stateroom which has very large full‐length hanging locker/closet and private head and stall shower. 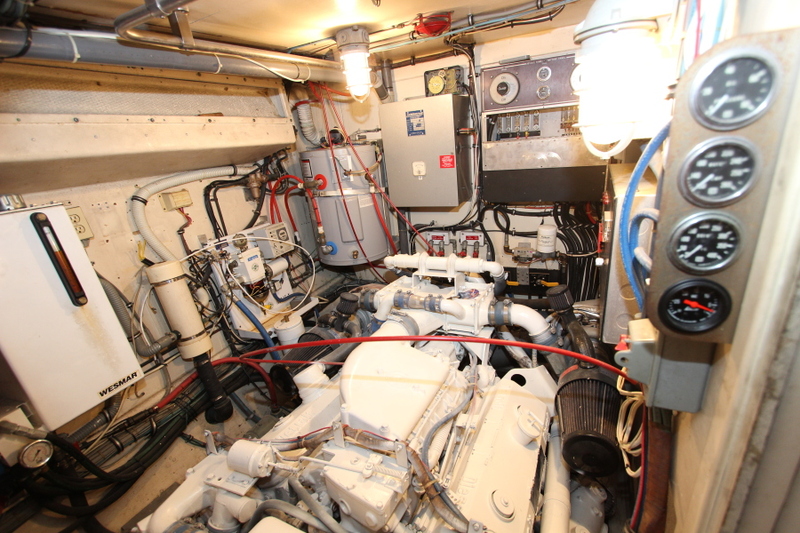 Her 8V‐71TI main engines, yacht systems and 20kw Northern Lights generator (new 2006 w/2513 current hours) are housed in separate engine rooms port and starboard of the stateroom deck companionway and each engine room has forward and aft access through full size sound proofed doors. All of these features also make DIGNOLITA a perfect live aboard boat or an ideal weekend and vacation getaway cottage which can be relocated to new surroundings at any time the owners wish. Previously a freshwater boat for extended periods of time the current owner purchased her in 2003 for extended cruising and has taken her to ports local and all over the islands, Central and South America. She has spent time in exotic ports of call and far off islands as well as cruising the coastal waters and rivers of North America. 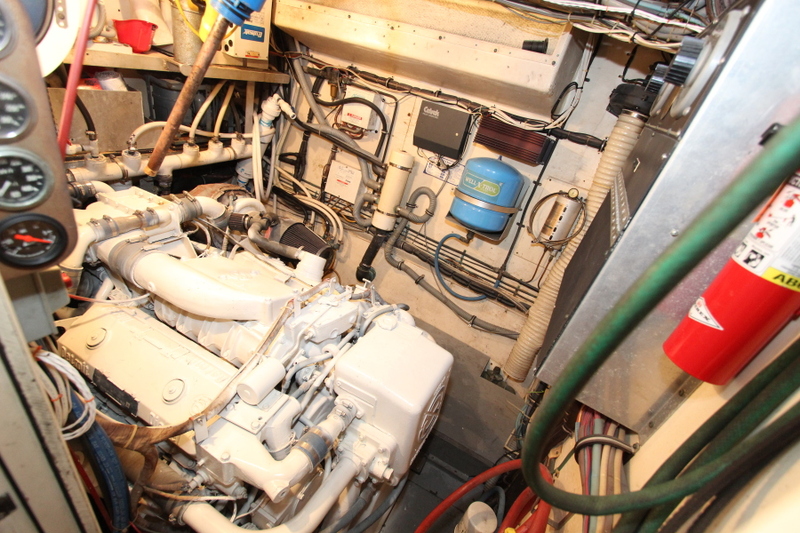 Her custom hydraulic arch lowering system makes her Loop capable. DIGNOLITA was painted in 2005 by Darling Yachts, Louisville KY and still looks good today. 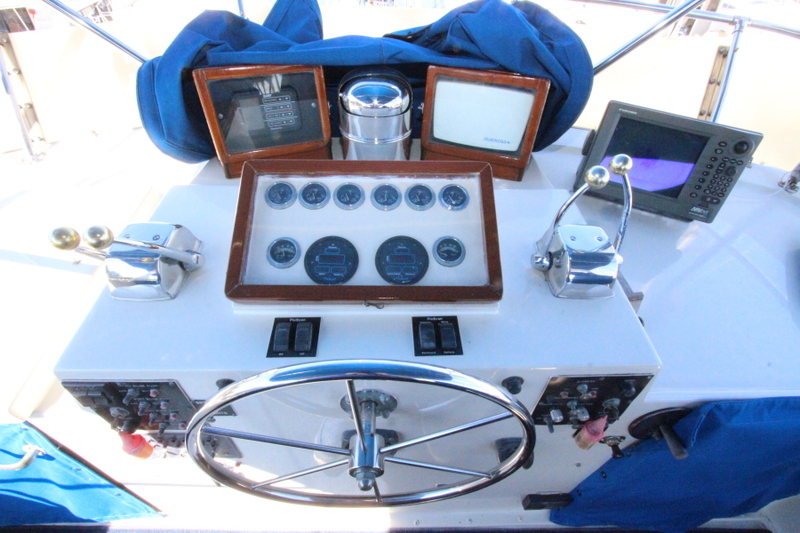 The seller is a knowledgeable and hands‐on owner who knows his boat intimately as is necessary when cruising remote ports of call and the boats machinery and systems have therefore, been maintained proactively to prevent potential system failures. 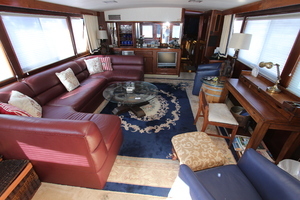 DIGNOLITA is now in her Bradenton, FL slip and will remain there until sold. West Florida Yachts would love to guide you through a personal showing of this 53' Hatteras Extended Deckhouse 1983. This yacht for sale is located in Bradenton, Florida and priced at $269,000. For a showing please contact us by filling out the form on this page and we will get back to you shortly! an apartment sized refrigerator/freezer, 4‐burner stove with convection oven/microwave oven, dishwasher, and a full complement of storage. 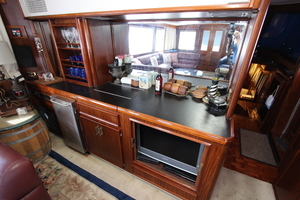 A dinette is opposite the galley is a dinette. Forward of the galley is the bow stateroom with upper and lower berths, locker, hanging locker, ample drawer space and a head with storage and shower. 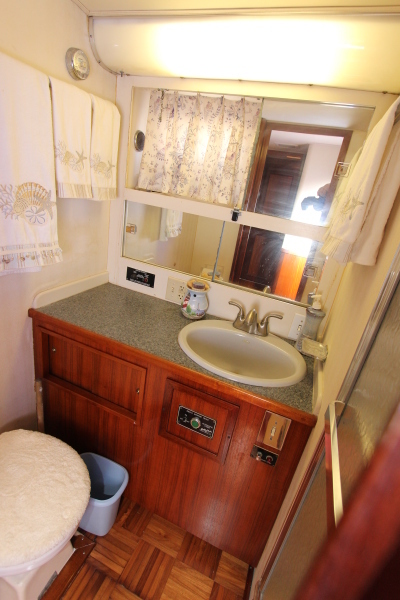 There is also a washer and dryer. 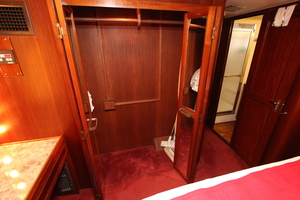 The companionway between the two walk‐in engine rooms is aft and down. 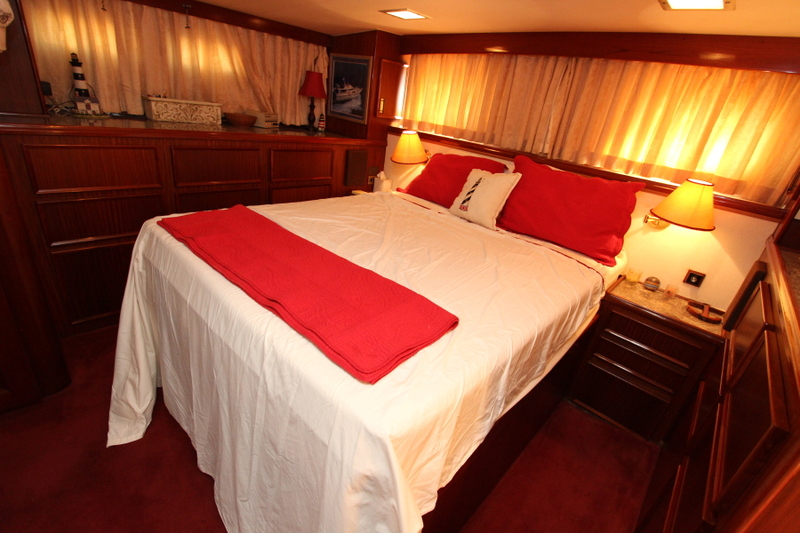 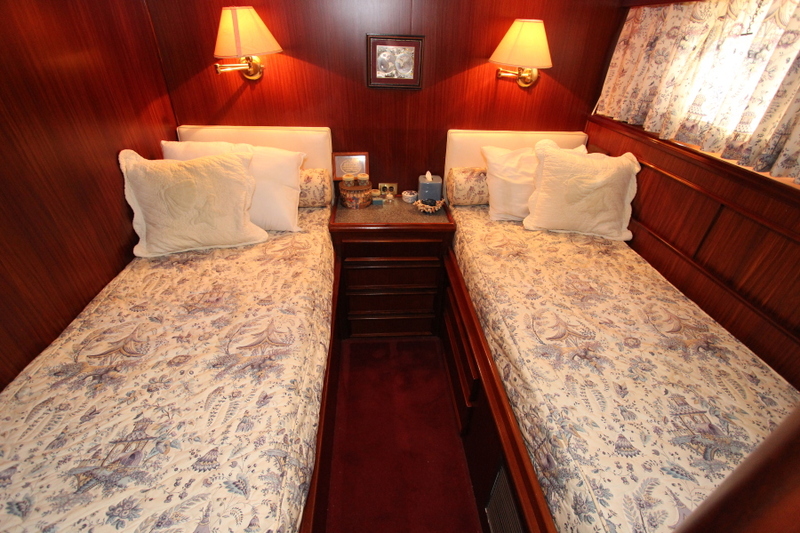 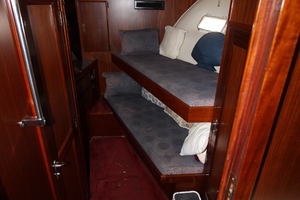 Aft of the engine rooms is the guest stateroom with twin berths, hanging locker and ample storage below each bunk. 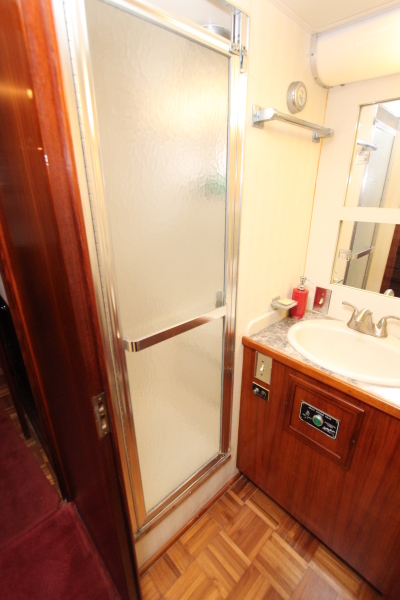 The guest head is opposite the guest stateroom and has a separate stall shower. 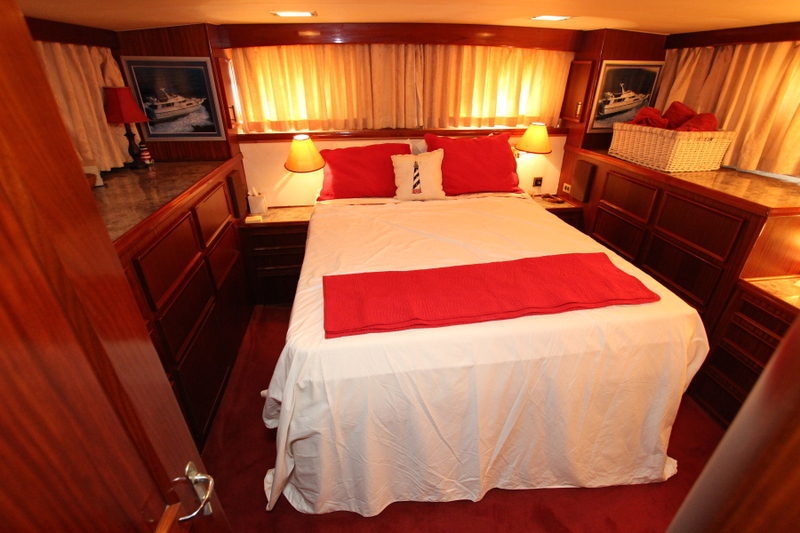 Aft through the companionway, one enters the master stateroom which has a large 6'+ wide, full‐length hanging locker, centerline queen bed, vanity and ample storage on both sides. 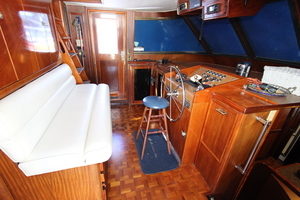 • 20 kw Northern Lights generator with 2153 hrs. 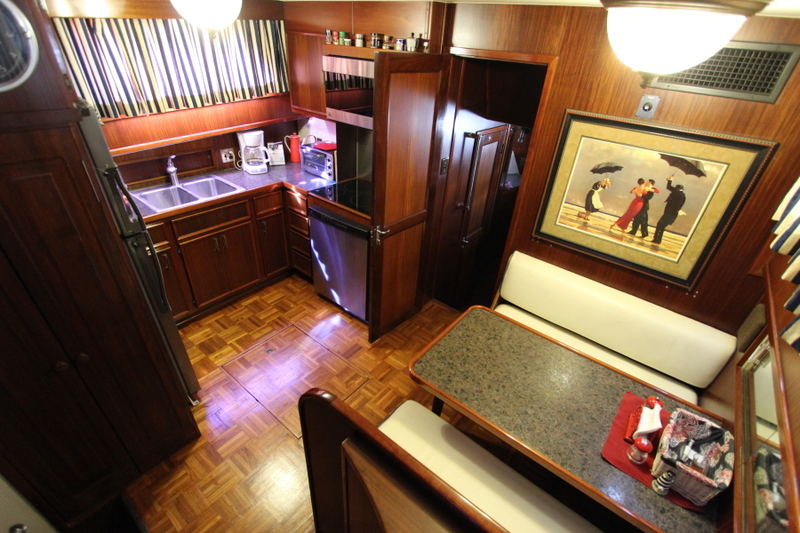 DIGNOLITA has been refinished with a satin gloss finish. There are also: Scotsman icemaker Water heater Pressure water system. 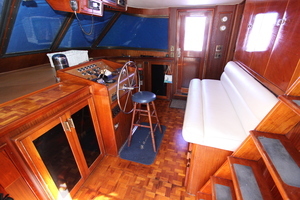 Parquet flooring in galley, companionway, aft corridor and all heads. Teak fascia under counters at all heads. 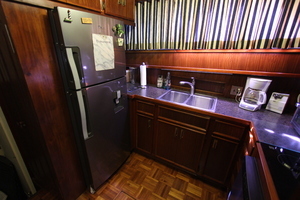 Counter top stone Formica finish. 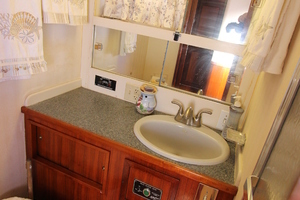 Upgraded sink fixtures. 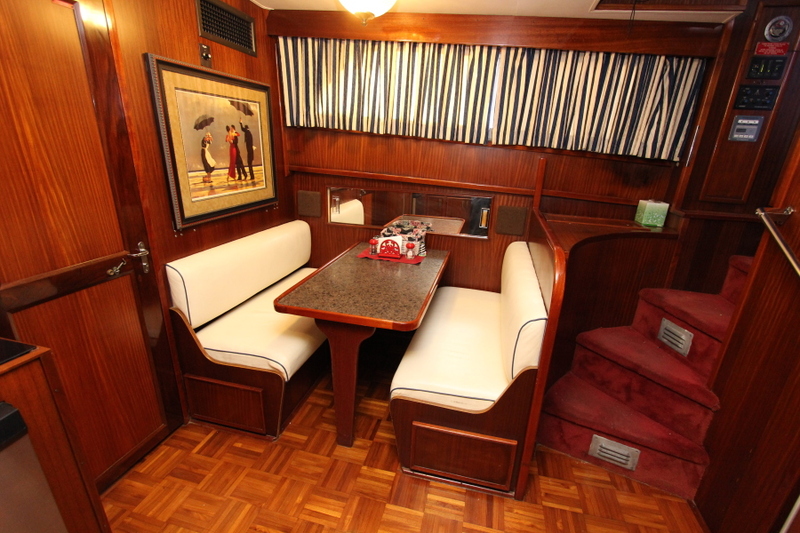 Teak valance at upper salon. 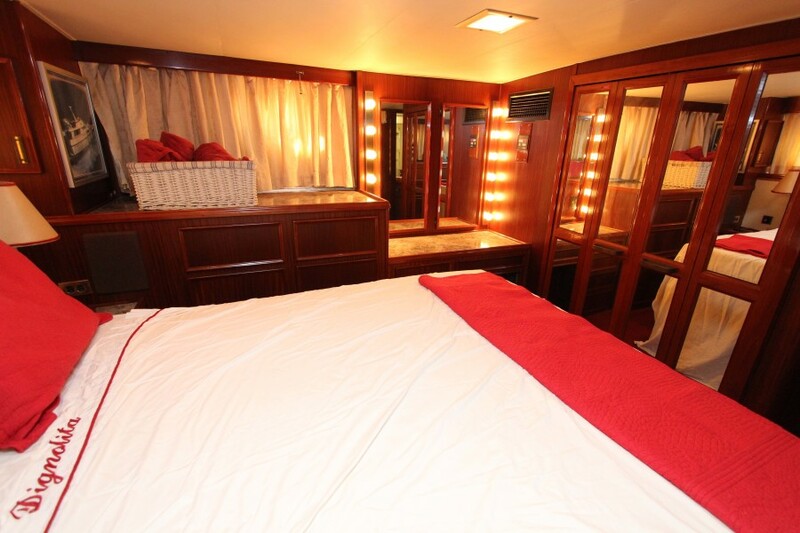 Headlines throughout vessel. Teak detail behind pilothouse seat. 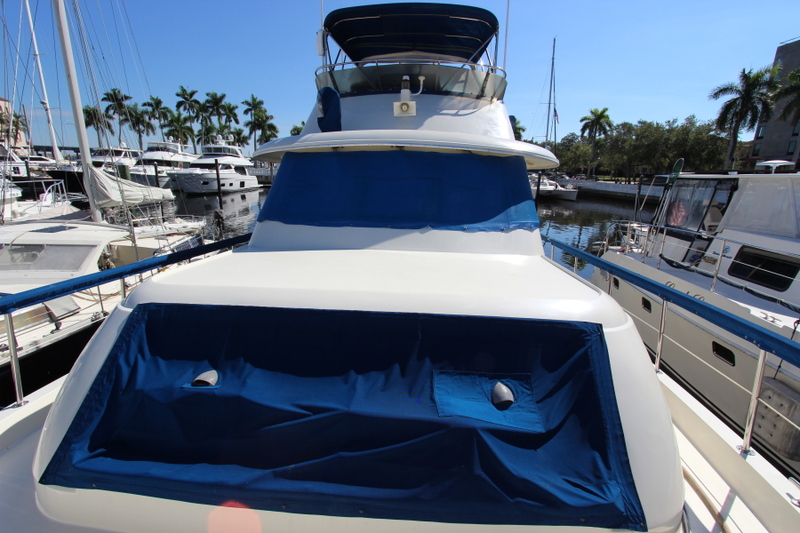 Shadow curtains. 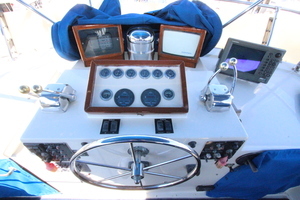 Usually as a seasoned broker of 40+ years I add remarks about the boats condition, equipment, readiness etc. in this section. 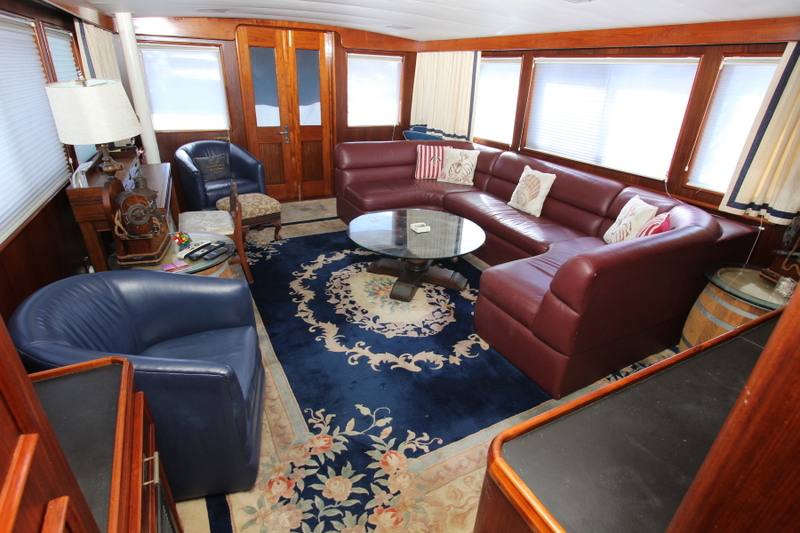 While DIGNOLITA is a beautiful yacht and represents a great value in her size and class I think the following from the current owner, who has been aboard her on extended deep water voyages for the last 15 years, tells the story better than anyone else possibly could. • Miscellaneous electrical parts including breakers, fuses, lamps, connectors etc. 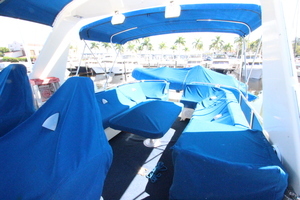 • Wesmar stabilizers with 7.4 square foot fins. 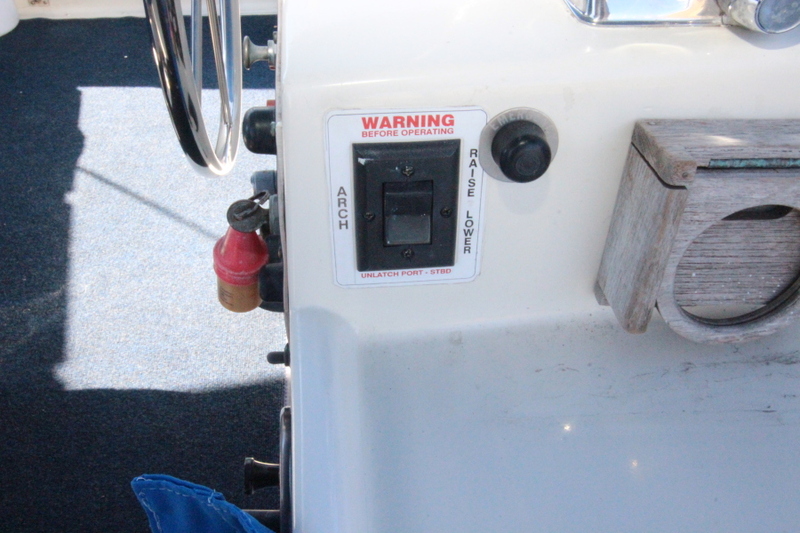 Provides stabilization at low speeds. 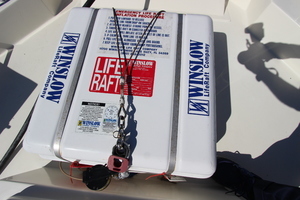 • Two large dock boxes with miscellaneous parts and supplies collected over the years. 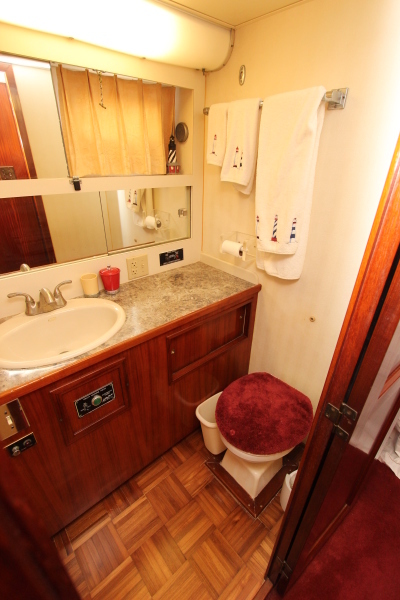 This is a turnkey boat. 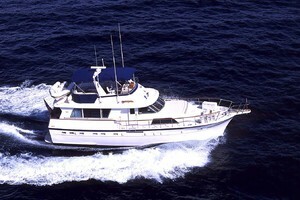 It is set up for cruising at 7.5 ‐ 9 knots at 1 mile per gallon giving it a range of 500 miles plus generator and reserve. 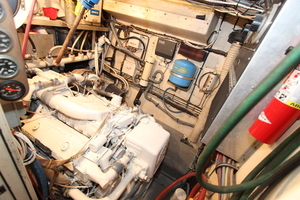 Fuel is monitored by Floscan fuel monitoring system. 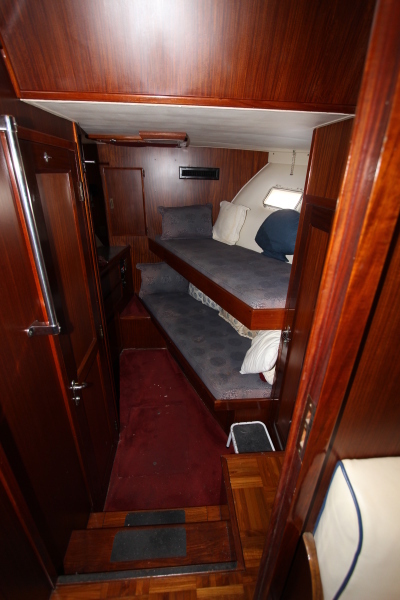 Capable of running 20 knots (thermostats need to be changed back to 160 from 180 and are included). 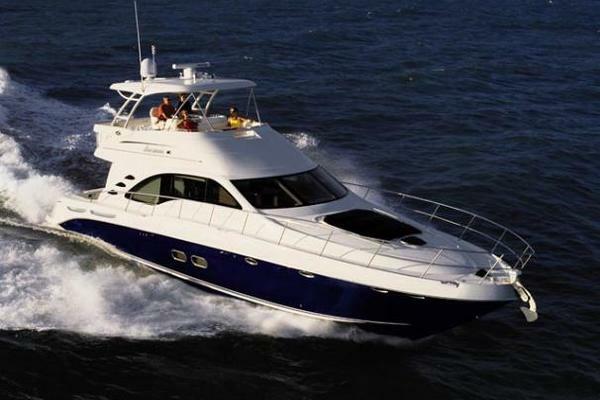 This boat has made dozens of open water crossings including Bahamas, Abacos, Exumas, Turks and Caicos, Jamaica, Puerto Rico, US and British Virgin Islands, Mexico, Yucatan Peninsula, Cozumel, Isle Mujeres, Belize, Honduras, Bay Islands of Honduras, Columbia. 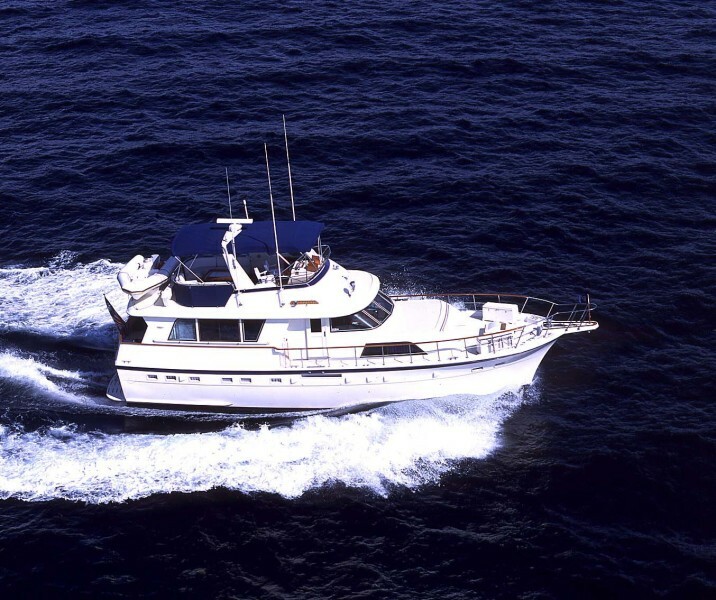 8 Gulf of Mexico crossings from Tampa Bay to Mobile, Cincinnati and back 4 times. 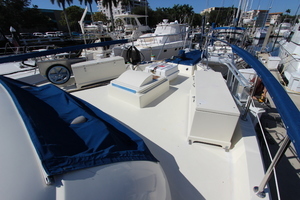 Georgetown Maryland to Bradenton Florida. 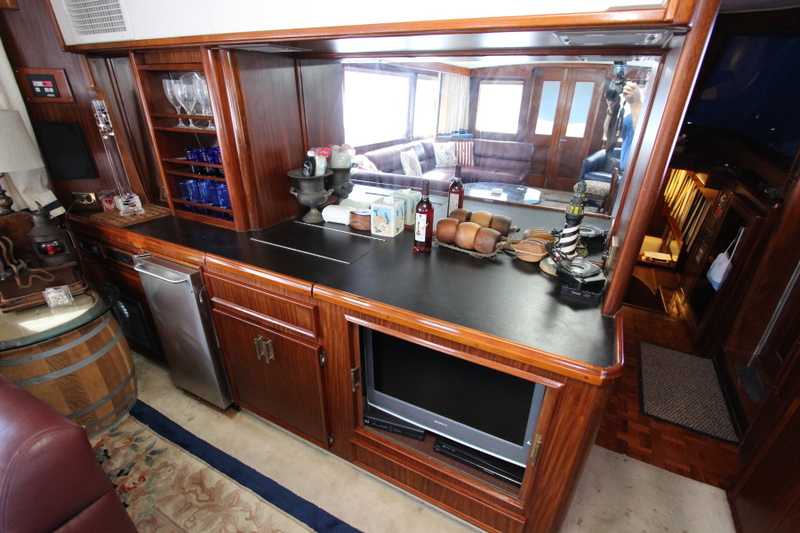 Owner lived aboard for 5 years.